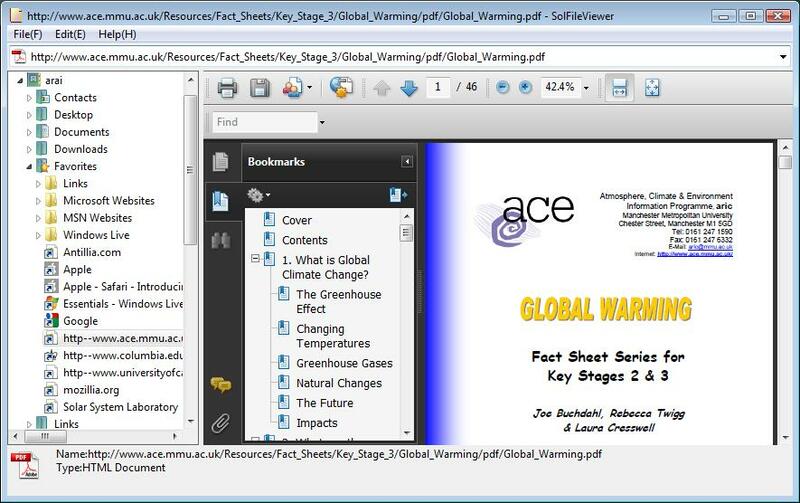 SolFileViewer is a Windows Smart File Viewer which supports a wide range of file formats.See Figure 1. 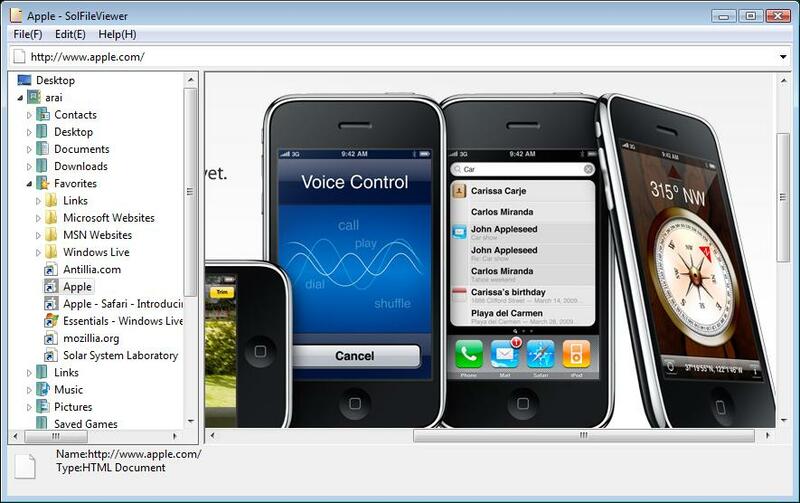 This application has a folder tree view in the left pane and a viewer window in the right pane. The former is used to browse a folder and select a file and the latter to view a content of a file. (Internet Explorer) for the viewer. 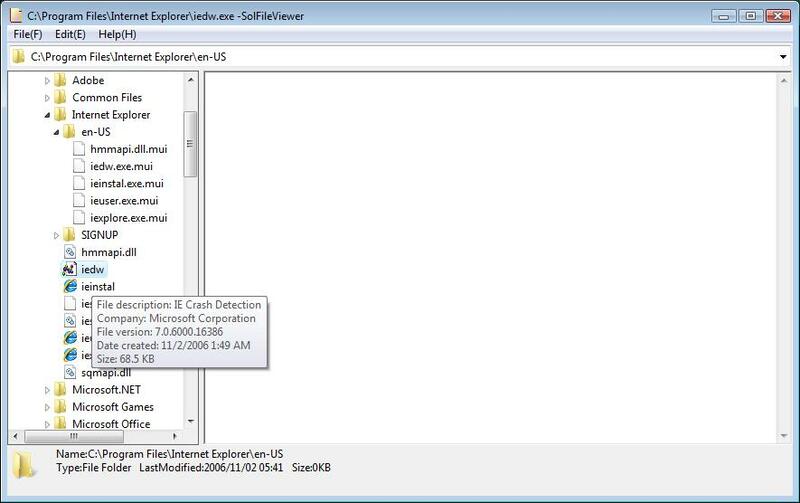 The viewable types of files are fairly wide, but depend on the viewer's abilities of Internet Explorer and its add-ons. 2009/10/07: Updated for compatibility on Windows 7. 1. 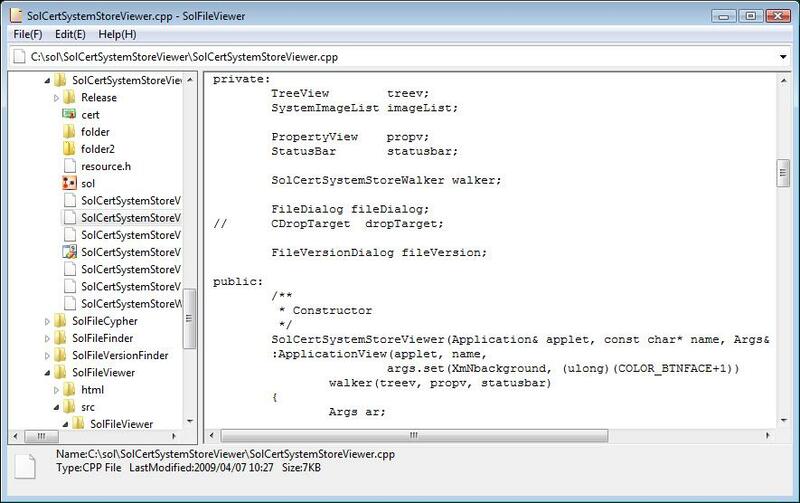 Run SolFileViewer program on your desktop, then a Windows Explorer like window will be displayed. See Figure 1. 2. 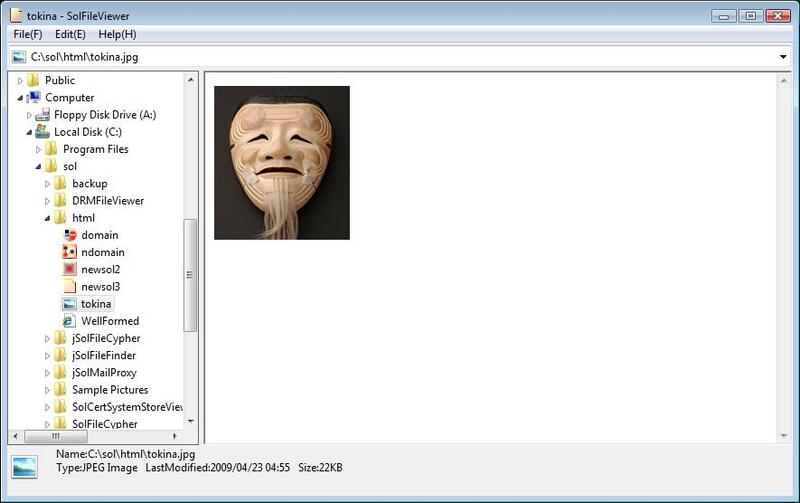 Browse a folder and select a file to view in the left treeview pane of the window. 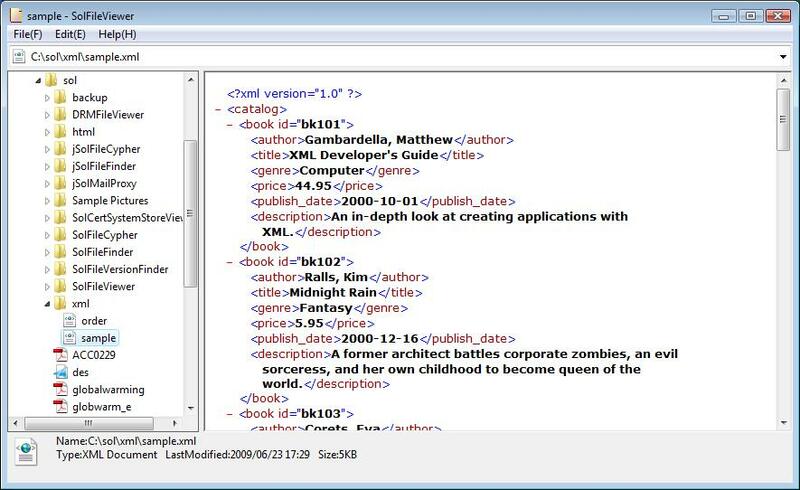 Or input a file name or url in the text field of upper combobox. 3. Then the content of the file or url will be displayed in the right viewer pane.See Figures 2 to 7.
will be launched. For example, Office application will be launched when an office file selected. Currently, the files of extensions of *.dll, *.ocx, *.obj, *.sys are ignored.